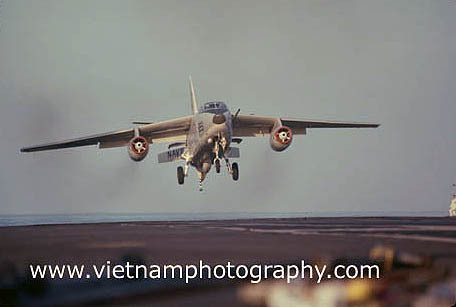 An F-8 Crusader being launched from the flight deck of the aircraft carrier USS Coral Sea in the South China Sea in 1966. 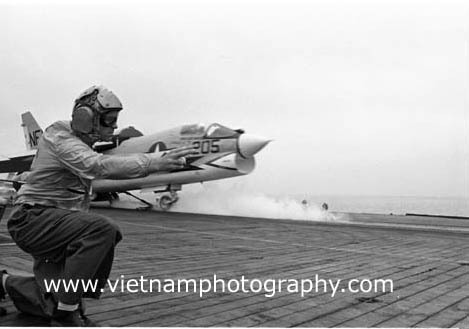 An A-4 Skyhawk being launched from the flight deck of the aircraft carrier USS Coral Sea in the South China Sea in 1966. 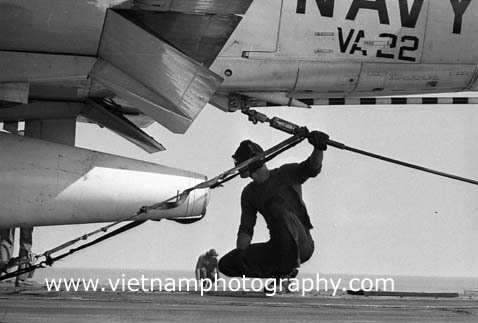 A crewman does a preflight check on an A-4 attack jet on the aircraft carrier USS Coral Sea in the South China Sea in 1966. 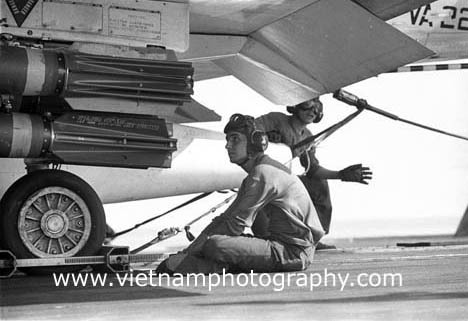 The jet belonged to squadron VA-22. 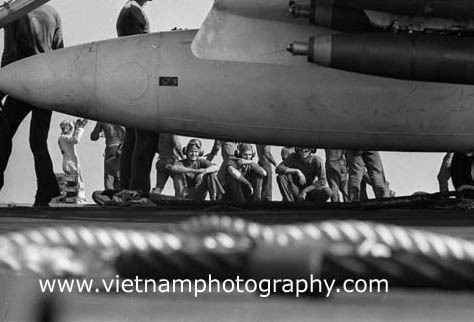 The flight deck crew of the aircraft carrier USS Coral Sea stand in front of an A-4 attack jet in the South China Sea in 1966. 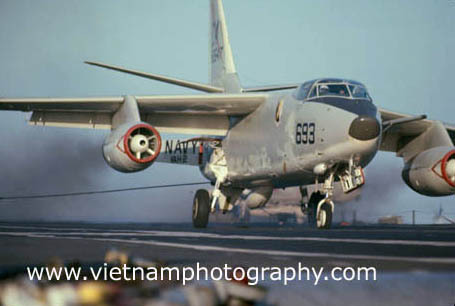 The jet was part of squadron VA-22 and belonged to Cmdr. 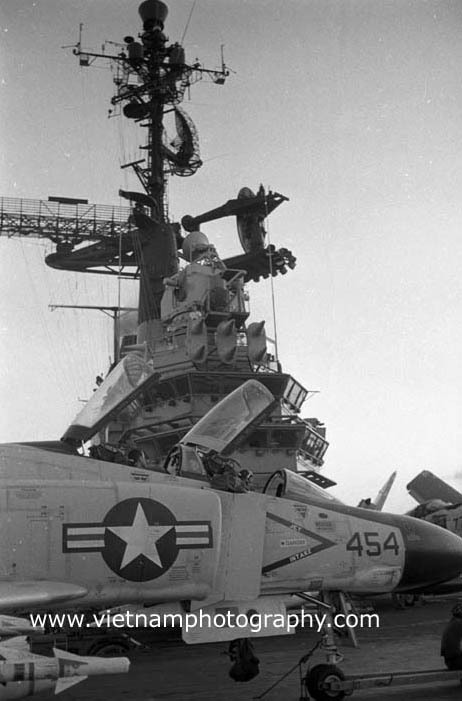 Bob Yezika, who apparently survived the war. 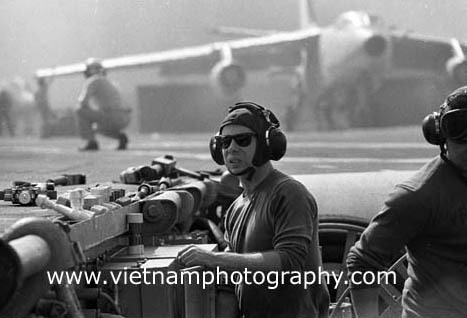 A crewman inspect bombs on an A-4 attack jet on the aircraft carrier USS Coral Sea in the South China Sea in 1966. 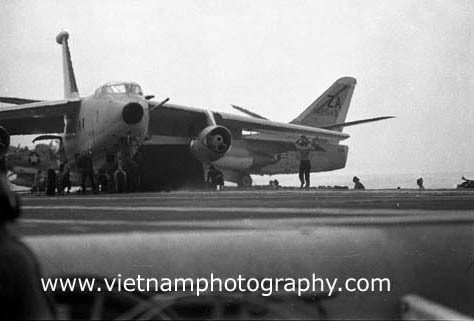 An A-3B bomber/tanker on the flight deck of the aircraft carrier USS Coral Sea in the South China Sea in 1966. 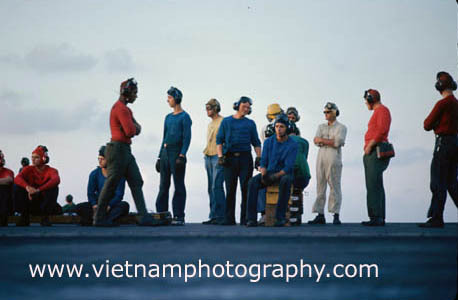 The flight crew of the aircraft carrier USS Coral Sea during launch operations in the South China Sea in 1966. 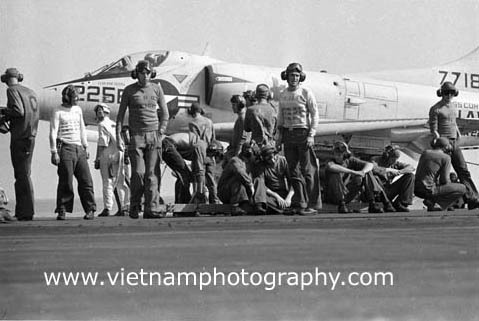 An A-3 bomber/tanker is in the background. 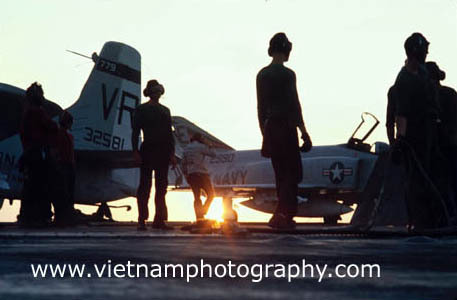 A-4 attack jets parked on the flight deck of the aircraft carrier USS Coral Sea in 1966. 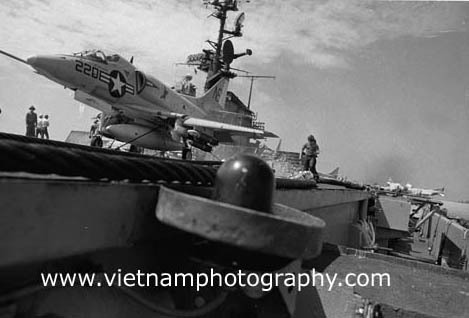 The plane in the foreground belonged to Lt. 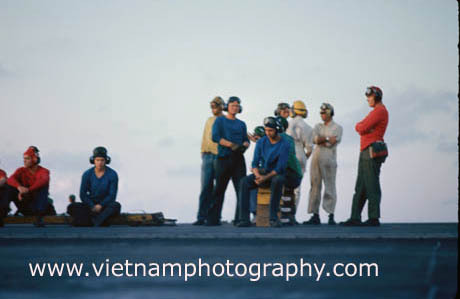 Junior grade Bob Dinwiddie, who apparently survived the war. 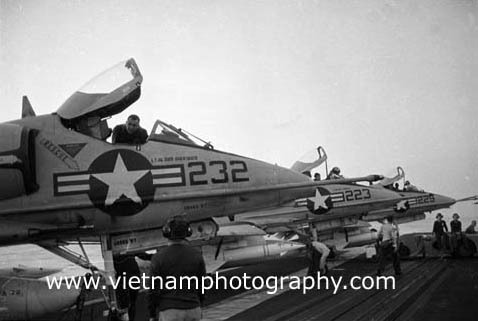 F-4 Phantom jets parked on the flight deck of the aircraft carrier USS Coral Sea in the South China Sea in 1966.